So basically 5 days after AIMIA comes out with their new vision for the Aeroplan program, Air Canada, CIBC, TD, and Visa, make a bid to purchase Aeroplan for $2.25B. In the bid, the consortium has offered $250MM in cash as well as taking over the $2B liability that AIMIA holds in Aeroplan miles. We don’t know for sure just quite yet but let’s try to break down what we do know. I think the simple answer here is that all the players involved see value in a loyalty program with 5MM members and 34 years of analytical data on Canadian travel and purchasing habits. The value of this information is immense and not something that can easily be replicated with a new loyalty program. Essentially, it makes much more sense for the consortium to purchase this asset than try to build it from the ground up. While this is speculation, I have spoken to highly placed sources in one of the Big 5 banks that suggested that Air Canada was having a difficult time standing up their new loyalty program, leaving significant uncertainty as to whether or not the program would be ready for June 2020. If you look back to the Investor Call in September of 2017, AC announced that they would be issuing an RFP to find a new financial partner. 10 months later and they have yet to announce a winner in that RFP which suggested that AC may have stumbled out of the gate. Hey … remember when Air Canada announced that they would be parting ways with AIMIA as of June 2020? How did that stock fare? Oh not so well, at least if you understand how numbers work. The stock plummeted almost 63% in a single day. That’s Black Tuesday type numbers, folks. It was BAD. With the stock price severely depressed and AIMIA struggling to meet its financial obligations as it related to the outstanding Aeroplan Miles, it’s kind of the perfect opportunity for the consortium to make a lowball offer for this incredible collection of data. The consortium has given AIMIA until August 2nd to mull over this offer and respond to the bid. Currently, there are two major investment firms that hold a significant interest in AIMIA stocks, Mittleman Investment Management with about a 20% share of the company, and Burgundy Asset Management Ltd. with a 12.5% stake. Both firms will have a very prominent role in deciding whether or not the AC consortium has made a fair offer for the company. I can’t profess to know what will ultimately happen but here’s what I would expect to happen. I suspect that AIMIA will counter with a higher purchase and the consortium will ultimately respond by increasing their bid. 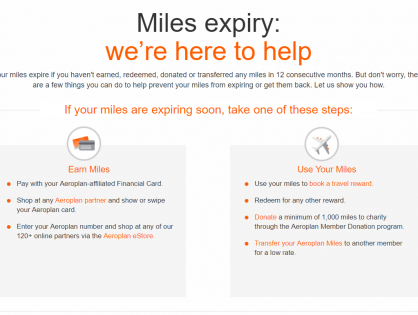 In the end, the AC consortium will purchase the Aeroplan program from AIMIA. The winners in this are, of course, the consortium led by Air Canada. One could argue that the Canadian consumer and participants in the Aeroplan program would also win in this deal but that is still yet to be seen. We have no idea what Air Canada intends to do with the program and whether or not there will be a large devaluation of your Aeroplan Miles. There are two losers in this deal, one you already know and one that you probably aren’t thinking of. The obvious loser in all of this is AIMIA, a company that became too wholly dependant on one single customer, Air Canada, and had the rug pulled out from under them. 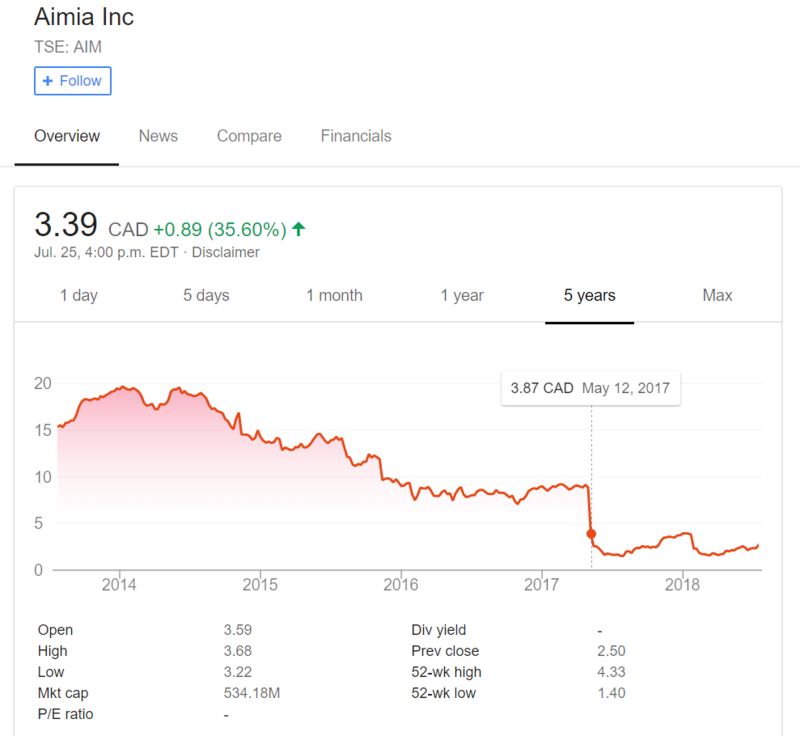 AIMIA’s stock price has become incredibly depressed (prior to the bid by the AC consortium) and many Canadians have become disenfranchised with the program. The other loser in all of this is …. Remember what companies make up this consortium. Air Canada, TD, CIBC, and VISA. If this deal goes through, American Express faces a HUGE problem. There is absolutely no way that Visa puts up this much money just to have American Express continue to be a payment processor of any of co-brand Aeroplan credit cards. Again, this is pure speculation but I would also suspect that American Express will no longer be a transfer partner of Aeroplan or whatever the new program ends up being called. There is simply no incentive for Visa to allow for this. In one fell swoop, Visa has all but eliminated one of the major benefits (Membership Rewards transfers to Aeroplan Miles) of one of its strongest competitors, American Express. This puzzle piece fits perfectly with American Express’ announcement in mid-May that saw them extend their contract with AIMIA to take them to June 29th, 2020. 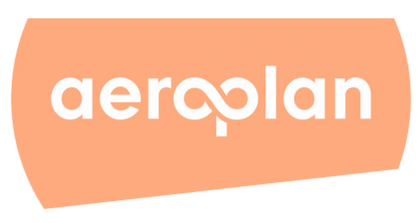 There are still a lot of questions in the air as to what happens to Aeroplan so understanding whether this is a good or bad thing is still to be determined. 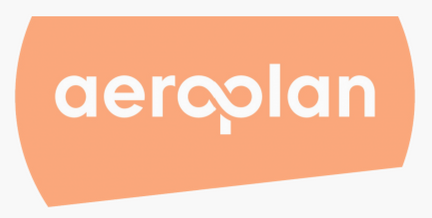 Just a few days ago, I covered off Jeremy Rabe’s vision for Aeroplan beyond Air Canada. I was excited about the possibilities but had some reservations. Now that this announcement is out there, it puts everything into question. Not saying that this is how it went down, but can you imagine if this was AC’s plan all along? The effect of terminating the contract with Aimia was very predictable on the stock price. I never even thought to think of the whole Visa/AMEX possibility. AMEX MR is 1 of the easiest and quickest ways to get aeroplan points. Having that process closed would be a disappointment but who knows, AMEX is going through a transition phase as well. I do agree that the consortium will eventually buy aeroplan back from AMIA. I just hope we get meaningful information before the deadline so points can be transferred to get the most out of the new/old programs before the June 2020 date. I am wondering why Westjet would not at least take a look at Aeroplan. Seems to me like the data that is valuable to Air Canada, some of which they already have, would be a lot more valuable to Westjet, which does not have any of the data. Apparently Air Canada will still launch their own loyalty program and convert aeroplan points to it. I worry this will involve a devaluation and a MASSIVE one at that. I find it hard to believe that AMEX will not put up a fight to have the ability to transfer to Air Canada’s new frequent flyer program. Aeroplan will be worthless in 2020 and AMEX Canada’s whole slogan is the ability to transfer to Aeroplan (which is basically Star Alliance). Not being able to transfer to Air Canada’s new program will be a huge downgrade. At the minimum they would have to add some transfer partners and possibly even increase the transfer ratio to their partners, as Aeroplan and BA are the only airline transfer partners at 1:1. I’d love to see them add Singapore Airlines (which has a good Star Alliance chart within North America), but only the savvy people will get value from this as I imagine the majority of the AMEX accounts use Aeroplan and wouldn’t see the value in another Star Alliance partner. Also, you asked if Aeroplan is removed, is the program worth keeping, and as it stands now, no. The transfer ratio for Hilton at 1:1 is lousy and the new ratio for Marriott will be 1000:1200 so it’s effectively a devaluation from the SPG ratio. To sum up, perhaps the best value is BA and Asia Miles, but RBC has the same partners with Avion, and both ratios are 1:1, and they periodically offer more frequent bonuses on transfers ratios than AMEX. So RBC could be the way to go, which would be a real shame to AMEX.